This past weekend we saw a March For Our Lives over gun violence in our nation. Youth and their supporters marched for an end to school shootings. Unfortunately, the March and the reactions to it confirm one tragic fact about America—most people have already made up their minds about what it all means and anyone who disagrees is considered a tool or a willing accomplice of all that is evil. Whoever disagrees is a terrible person who doesn’t care about children dying or having a dictatorship (choose whichever fits your own narrative. I, like everyone else, have opinions about the March and what is right and wrong. But I don’t intend to discuss my views in this blog—I see the purpose of my blogging as urging people to follow the teaching of the Church, not to argue that my preferences are Church teaching. Trying to interject my personal political views into this would be counterproductive. What is it that is being opposed? What is proposed to replace it? Is the assessment of what is condemned and the proposed solution just? In my experience, people are very vocal about #1, rather vague about #2, and almost never answer #3. It’s easy to rail against what you dislike, but proposals to replace it tend to be reduced to platitudes about previously held beliefs (in this case “ban guns” vs. “right to self defense”). Almost nobody seems to ask whether there are problems with their solutions that must be addressed; almost nobody asks whether their treatment of the other side is calumny or rash judgment. The result is nobody is dialoguing about what should be done. Where did existing laws fail to work? Where did laws conflict with each other? Where were laws absent? This is where we should start. We should be asking where laws need to be better enforced, reformed, or created. Instead we have people either saying “we need no new laws” or “we must make laws” without showing that the position will actually make a more just society. Each side just assumes their side is reasonable and never addresses concerns. Dialogue is replaced by ad hominem arguments and personal attacks. Everybody is angry that things are the way they are. Everybody wants things to change. But nobody is willing to ask if they need to change for the good of others. At this point I should reveal my “bait and switch.” I mentioned the March For Our Lives because it is recent and controversial. But every problem I mentioned above is found in every demonstration. It’s hard to see it when it is a demonstration we approve of. For example, as a Catholic I fully support the annual March For Life that happens on the anniversary of the infamous Roe v. Wade. But I do acknowledge that it’s easy to downplay legitimate fears. We can never compromise on the fact that abortion is intrinsically evil. But I do notice that the articles that address the fears of the other side are fewer than the moral outrage articles [†]. Even though we must reject any solution that accepts abortion as a “right,” we do need to address the fears that lead some to think that they “need” a right to abortion. In every issue where people are divided, we must ask what is true among the claims and what must be done about the concerns. That doesn’t mean a fallacy of compromise however. If I claim you owe me $50,000 and you say you owe me nothing, the just solution is not you paying me $25,000. If I speak truthfully, then you do owe me $50,000 and splitting it in half is an injustice. But if I speak falsely and you owe me nothing then it would be unjust to make you pay at all. So we cannot compromise on the Christian obligation to seek out and follow what is true and right. But we cannot ignore legitimate concerns either—even if we cannot accept intrinsically evil or unjustly applied solutions. This means we have to evaluate our political views in light of Church teaching, rejecting whatever contradicts it. But we can’t just write off legitimate concerns that lead people to false conclusions or legitimate conclusions we disagree with. In other words, it’s not enough to just point to the Church teaching. It has to be lived. Whether we are heading off useless arguments over the best ways to apply Christian teaching or whether we are opposing error, we have to live out the compassion and love that forms our faith. That means we can’t just say, “I disagree, so to hell with you!” The Church didn’t just condemn communism. She said we must live the truth in response. Likewise, it’s not enough to just condemn abortion. We have to work to make it unnecessary as well as unthinkable. Nor is it enough to merely condemn guns or emphasize the right to self defense. We have to work on identifying and eliminating what makes us unsafe. No doubt we will be rejected by many. But we must remember that the saints also encountered such hatred (and, in the case of martyrs, encountered worse) in converting the nations. They didn’t give up, even though conversion of a nation took centuries. We shouldn’t give up either. America needs conversion. But we should make sure that where there is intrinsic evil, we teach in love why we must reject it, and where there is dispute over political solutions we must have the willingness to investigate where the true and just solutions lie, and not just demand that whoever does not embrace our politics embraces evil by default. [†] It is a lie to say that pro-lifers “don’t care” about these other issues, however. Recent events in Church reporting shows that the narrative one subscribes to pushes the misinterpretation of what actually happens. For example, the so-called “Lettergate” involving the Vatican publishing house (LEV). In this case we had a letter from Pope emeritus Benedict XVI which called the reaction against Pope Francis a “foolish prejudice” and affirmed the continuity between the current Pope and his predecessors. This was fact that did not sit well with the anti-Francis Catholics. So they began to look for flaws. The flaw they found was the fact that the presentation only quoted excerpts from his letter. One section involving the criticism of one of the authors was omitted. Another section involving the fact that Benedict XVI declined to write an introduction because he wouldn’t have time to read the presented works and only would write an introduction on works he had read thouroughly. This was read aloud but the publicity photograph used by LEV covered one page except for the signature and blurred the final lines on the visible page, making these sections unseen. In this day and age, where people are willing to make rash judgments, it was foolish of the presenters to do this. They probably should have made clear that they were reading excerpts from the letter and either showed the entire photograph or not at all. But false narrative moved quickly to come up with an wrong interpretation that fit their beliefs. People who believe that the Vatican is being taken over by dissenters assume that this blurring and selective citation was made from a desire to hide the truth. They claimed that the hidden material “changed the meaning” of what was cited. Some claimed—without any evidence—that the letter was published without permission from Benedict XVI. Others went so far as to call it “elder abuse.” At any rate, the fact that he denounced their criticism of Pope Francis and the idea that Pope Francis’ teachings represented a break (the real news) was forgotten. Another example involved the case of Bishop Barrios of Chile. In response to a question, Pope Francis said he received accusations but no proof concerning Bishop Barrios’ involvement. Critics of the Pope promptly came up with.a letter he received in 2015. Because of the narrative they followed, this was interpreted as “proof” that the Pope lied. Except he didn’t. Accusations ≠ proof, and the Catholic Church has always required proof when it comes to accusing bishops. In the past it was clear that sometimes false accusations were made. For example, almost 25 years ago this happened with Cardinal Bernadin being falsely accused. That’s not to say Bishop Barrios is innocent or guilty. I leave that to those tasked with investigating to decide. Rather I bring this up to point out that what we think happened might not turn out to be true. Sometimes the truth shows that people reacted wrongly. In both examples, certain groups of people were invested in the narrative that Pope Francis was dishonest and promoting error. From that narrative, they interpreted the news stories in a way that would provide “proof” of their beliefs. The problem is, these stories were not proof. Rather the presupposed narrative was assumed to be true based on the assumption that the narrative was true—which is very much in dispute. The fact is, a certain faction of Catholics are hostile to Pope Francis and have been since the day he became Pope. From day one they have assumed he was in error and interpreted everything he said or did under the assumption he was in error. Some of these were radical traditionalists who believe he runs roughshod over tradition and rubrics. Others are political conservatives who assume that his affirmation of Church teaching on social justice is a “proof” of being politically liberal. Each faction that dislikes him points to the other factions that dislike him as if their dislike was proof and there is “confusion” in the Church—never mind that these critics are the ones causing it in the first place. Once again critics of the Pope claim it “proves” the Pope supports error. Never mind everything he says affirming what the Church has already taught. The false narrative insists that all evidence “proves” their claim and any that doesn’t is ignored. But we’re called to do the opposite. Whatever our preferences in politics, society, and customs, it must be formed by Church teaching and properly evaluating events. We can’t twist an event in the life of the Church into whatever we want it to be. We have to learn the facts about it and apply the Church teaching as interpreted by the magisterium to determine the truth and morality of the act. Our narrative must follow truth, not determine it. Otherwise we are like the blind leading the blind... and we know where that leads. From the pontificates of Blessed Paul VI through Benedict XVI, we saw the false narrative about the “Spirit of Vatican II,” which claimed the Popes were “betraying” the Council. Less easy to see were the Catholics who misinterpreted the Catholic faith as being politically conservative. Now, things are reversed. We have a false narrative about Pope Francis accused of betraying Church teaching that are easy to see. Less easy to see are the Catholics who misinterpret the Catholic faith as being politically liberal. In both cases, it’s the same error. But each faction switched sides. Tragically, neither faction asks, “have I gotten it wrong?” Rather than ask, they assume they are right. Assuming they are right, they wander. And wandering, they stray from the right path, the Church, by rejecting her when the Pope and bishops in communion with him teach how to best apply Church teaching. If we would avoid this error, then let us trust God to keep His promise and protect His Church instead of deceiving ourselves into thinking that the Church can go wrong but we haven’t. That the confusion exists is not disputed. The question is who determines what causes it and leads us out of it. Many Catholics argue that to end confusion, we should listen to what they say, and not listening to them is seen as “proof” that the one opposed is causing the confusion. But we would be foolish to accept the word of just any individual—no matter how appealing their words might seem to us. If we would be faithful Catholics, we need to recognize that we do have designated shepherds who lead the flock. Jesus, of course, is the Good Shepherd who leads us. But He has made clear that certain people have authority to teach in His name (Matthew 16:19, 18:18) and has made clear that rejecting them is rejecting Him (Matthew 18:17, Luke 10:16). When there is a conflict between what the Church says and what critics of the Church say, the voice to follow is the voice of the magisterium, not the voice of the critic. This sounds alien to 21st century sensibilities. We pride ourselves on being rational individuals and what we see must be true. From that, whatever does not match our perception must be wrong. We then argue that when the Church does not match our views, the Church must be in error. But that view is incompatible with what we must believe. The magisterium determines what is the proper interpretation of Scripture and Tradition and applies them to the needs of the time. The needs of the time may require a greater emphasis on mercy or a greater emphasis on discipline. But we don’t have one without the other, and an increased emphasis on one is not a contradiction or a betrayal. This is why, when I encounter those who claim that a Pope is in error, or heretical or some sort of lost shepherd, I keep away. They claim to know the real truth about what the Church is supposed to believe. But in showing a (probably unintended) rejection of God protecting His Church, I can see that they do not speak with the voice of the Shepherd not His vicar. So I flee their voice as the sheep flee the voice of the stranger. No matter what the past reputation of the critic in defending the Church, the fact that they are questioning that teaching authority now shows that we cannot use them as helps to understanding the faith until they abandon the view that their perception takes precedence over what the Church says. The teaching authority of the Church is the Pope and the bishops in communion with him. It is not the individual blogger, priest, bishop, or cardinal who chooses to take a position apart from that teaching authority. Whether it’s the language of worship, how we receive the Eucharist, how we interpret Amoris Lætitia, or other topics, the one who tries to downplay or undermine what the magisterium today teaches is the one who is the stranger’s voice. With the rejection of the Pope almost reaching the level of overt schism, it is time to look at a forgotten tactic used by the devil—the appearance as an “angel of light” (2 Corinthians 11:13-15). The words of St. Paul and St. Ignatius of Loyola remind us that our desires to be holy can be corrupted and lead us to deceive ourselves and be deceived by others so we wind up actually doing the work of the devil while we think we are doing the work of the Lord. Unfortunately, the temptation is being so focused on the evil things we expect those we oppose to do that we miss the devil deceiving us by appealing to our desire to be holy while actually urging us to follow our sinful habits. If the devil can get us to believe our disobedience is not really wrong, then it doesn’t matter how many rosaries we pray or what form of Mass we attend—for we are working against God and His Church. I believe that the rise of anti-Francis websites and books are a sign of this corruption. I have no doubt that these people are sincere in their desire to defend the Church. But I believe the devil is whispering in their ear, emphasizing the things that anger them, stirring up their suspicions and listening to only those things that reinforce their preconceived notions. In the current time of the Church, I believe we are seeing the devil as an angel of light whispering in our ears and telling us that when the Church does not go the way we want, it is “proof” that the Church has gone wrong. But obedience to the Church is something Our Lord requires (Matthew 18:17, Luke 10:16). To protect the Church from error in this obedience, Our Lord gives the Pope and the bishops in communion with Him—as successors to the apostles—the authority to bind and loose. Yes, we’ve had morally bad Popes, we’ve had cowardly Popes and we’ve had Popes with questionable orthodoxy personally. But we’ve never had a Pope who used his teaching office to teach error. When Catholics claim the right to pass judgment on which teachings they will accept as binding, they would be wise to ask whether what is urging them on is really God. Since Our Lord gives His authority to the Church, it seems more likely that the angel of light that we think we see is nothing more than the devil seeking to deceive us into rebelling against the Church. Remember, if the devil can lead us to hell, it doesn’t matter to him if we’re pious in doing so. 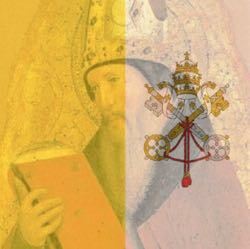 Whether one is opposed to Pope Francis but loved his predecessors or loves Pope Francis while hating his predecessors, it is a rejection of the same authority given by God to the successor of St. Peter when one rejects the teaching of the Pope (see Canon 752). One temptation in life is to replace seeking and finding the truth with attaching ourselves to a narrative and following it—even if it leads to error. I suspect that the reader immediately thought of people they disagree with (I did, and I’m writing it). But the problem is, it is difficult to look at one’s own narrative with the same scrutiny. If our assumptions are false, the way we interpret events and motives will be useless and probably harmful. We see these false narratives everywhere. Whether in religion or politics (and, tragically, we tend to confuse the two), we are tempted to take our preferences on how the world should work and treat any deviation from that preference as a proof that the person we disagree with is in error—and probably maliciously so. For example, in the 2016 elections, we saw Catholics struggling over which candidate would do the least harm. Disagreement over this issue led to accusations that the person with a different view was openly supporting the evils of that candidate. Or, after the Parkland shooting, we saw Catholics accusing each other of willingness to let innocents die or willingness to let people become victims. Or, in terms of the Catholic faith, we see people assume that their personal views on what Church teaching means are true, and whoever takes a different view—even if it is the Pope—must knowingly support error. 3. Therefore, this person willingly supports error. But the first premise must always be investigated. Even if we desire to be faithful to the Church, it does not follow that the interpretation we give is correct. The magisterium, led by the Pope and bishops in communion with him, determines the correct interpretation. To go against that interpretation is to show that one’s assumption is false. The second premise’s relevance then depends on whether the first premise is true. If my views are objectively true, then disagreement is a concern: For example, because abortion is an intrinsic evil, a person who disagrees with Church teaching is doing wrong. But if the person disagrees with the view that opposing abortion means supporting political platform X, that disagreement is not necessarily wrong. The conclusion is only true if the person has accurately interpreted Church teaching and the opponent has knowingly rejected Church teaching. If the person has misinterpreted Church teaching or confused Church teaching with an opinion on interpretation then the first premise is false. If the person has wrongly confused disagreement with rejection of truth, then the second premise is irrelevant. In either case, the conclusion is unproven. (Remember, it’s possible that both opinions can be in error). To avoid a false narrative, we constantly investigate whether our assumptions are true and whether there are other ways moral obligation can be legitimately applied. As Catholics, we believe—or are supposed to believe—that the Church authentically guides us on how we must live. But there are different ways we can legitimately apply Church teaching. If the person we disagree with uses one of those different ways (as opposed to trying to evade Church teaching), we cannot accuse them of error. The false narrative we must reject is that our preferences are truth and that to reject our preference is to reject the truth. We can be mistaken about things: Whether about how Church teaching works [†] or about the motives of the person we disagree with. To avoid this, we must constantly seek the truth about what Church teaching means and what those we disagree with really hold. Otherwise, we are the blind trying to lead the blind (Matthew 15:14) because we cannot see past the view that we might err. The old computer programming maxim applies here: Garbage In, Garbage Out. If we assume error to be true, or truth to be error, the conclusions we draw will be worthless, if not harmful. [†] I reject the notion that the Church teaches error. While she can change disciplines, she will never go from teaching X is evil to X is allowed. Many critics of the Church confuse discipline with doctrine with disastrous results.